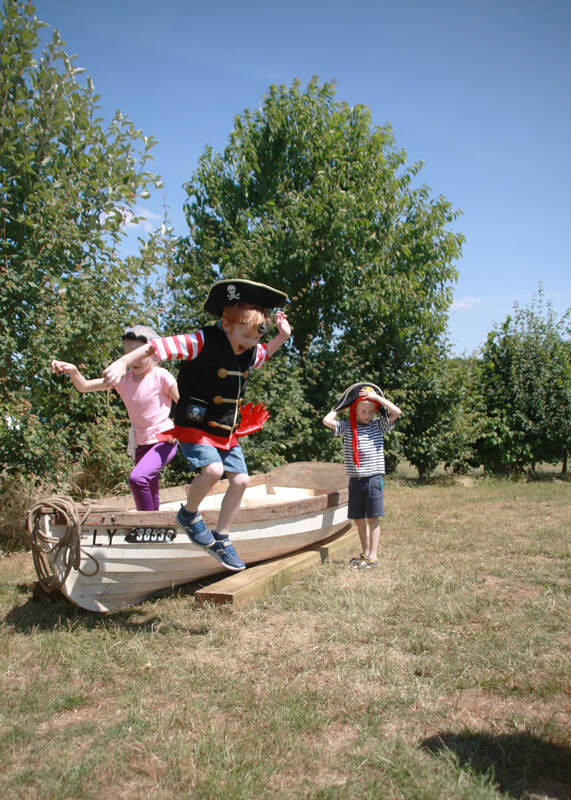 Hoist the sails, grab a spade it's time to hit the treasure trail! 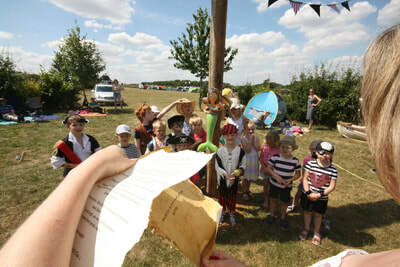 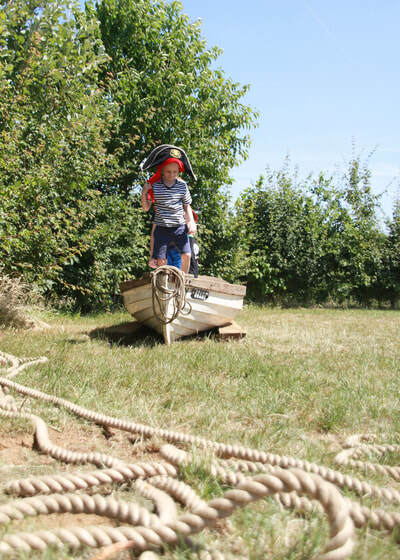 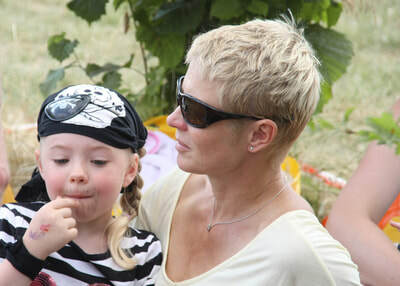 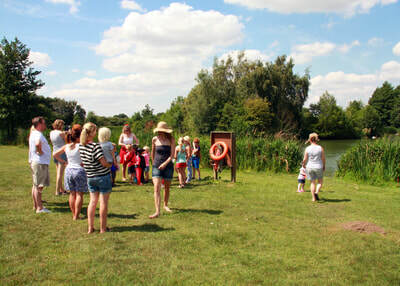 We have a new pirate and mermaid themed area in a ring of trees to cater for children's camping parties. 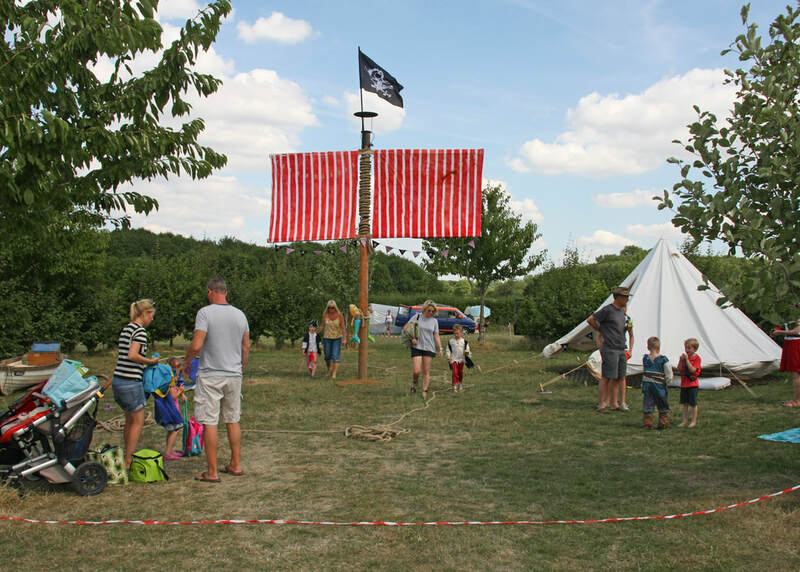 For an additional £50 fee to the normal camping rate, you will have exclusive use of this area, which includes a ship's mast. 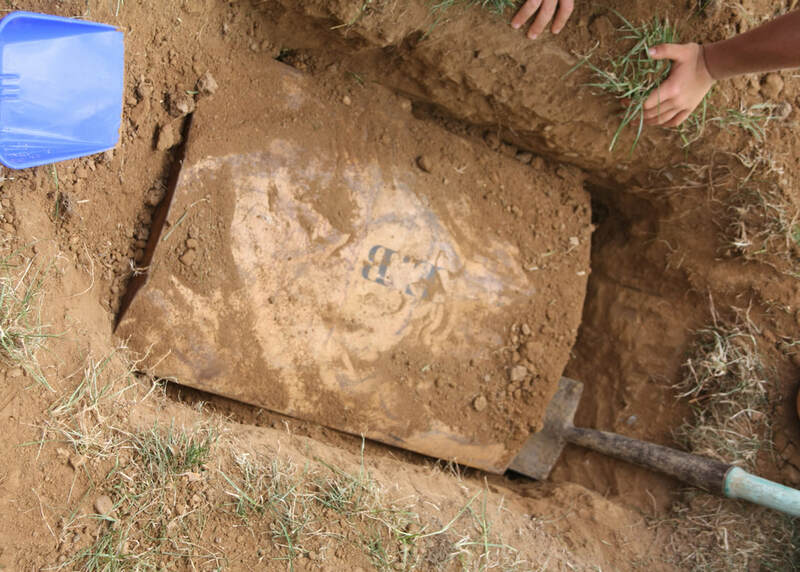 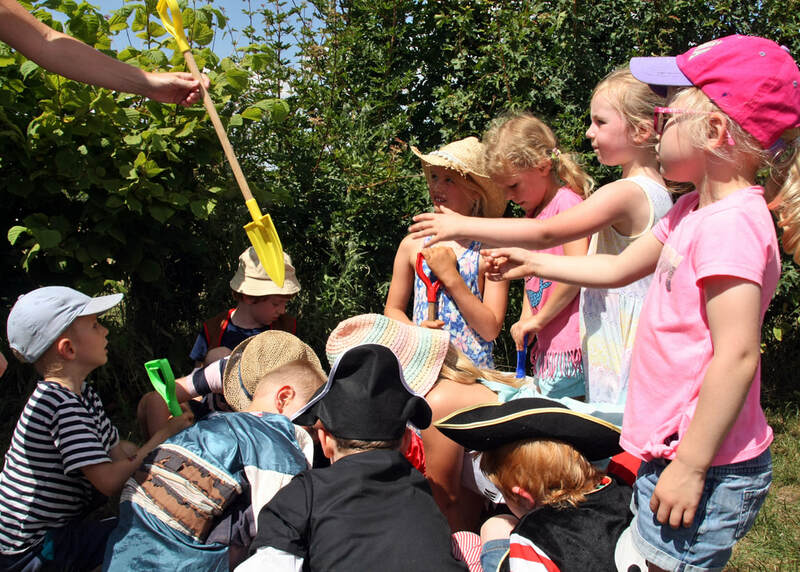 See your children's imagination light up with the magical experience of searching for real life buried treasure alongside their ship mates. 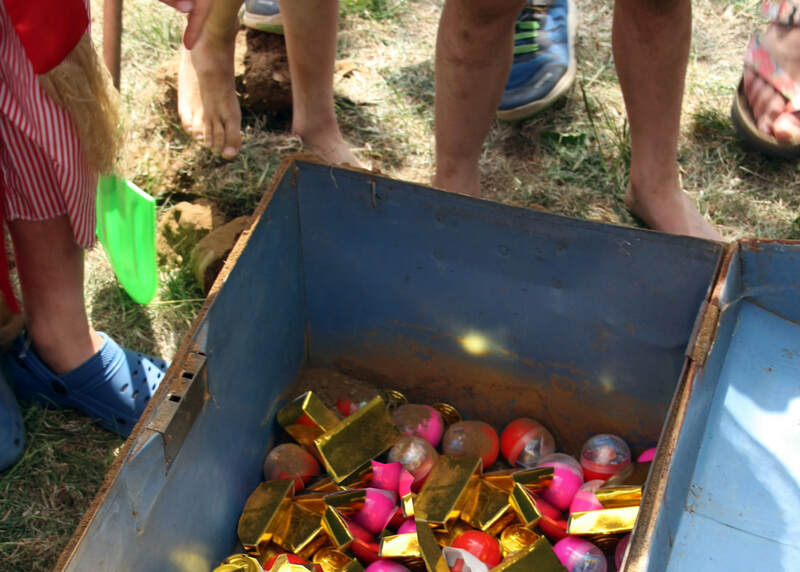 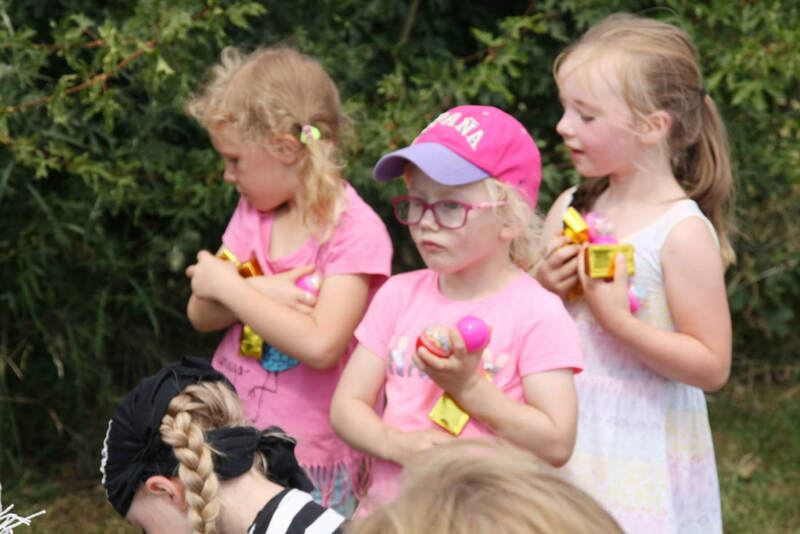 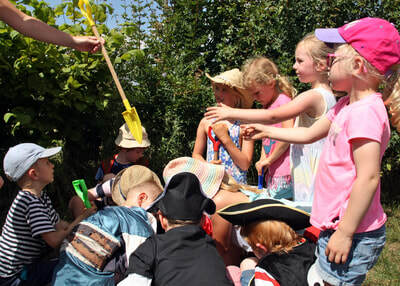 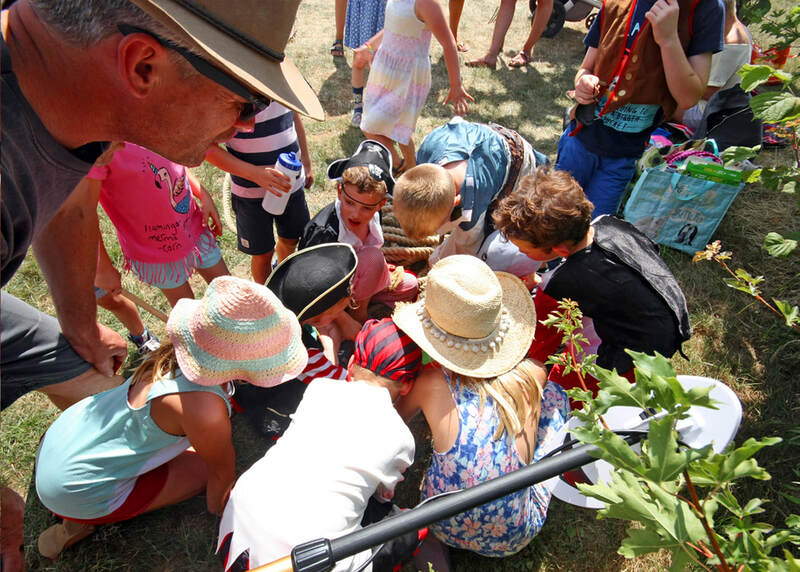 Your can hide your own treasure or if you'd like us to bury a chest full of pretend gold bullion filled with sweets and pretend coins, we can do this for you as well as provide the clues and the treasure map. 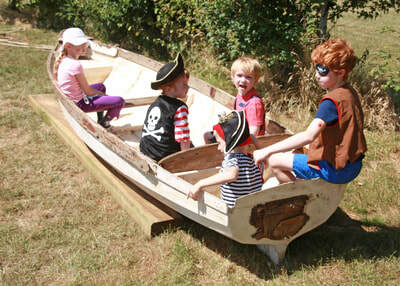 Your brave little buccaneers will love it and there's no need for party bags as it's all in the chest!